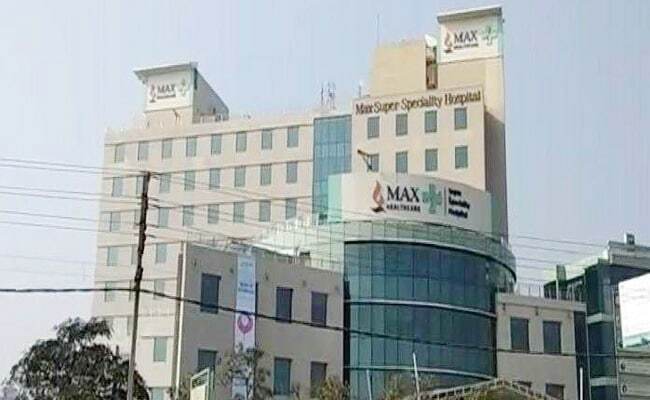 New Delhi, Dec 3: Delhi Health Minister Satyendar Jain on Saturday said that strict action will be taken against city-based private Max Hospital and its licence would be cancelled if required, after the hospital declared dead a live baby, who still remained in a critical condition two days after the incident. "When we came to know about negligence on the part of the hospital, we ordered inquiry into the same. And I want to assure all that if they don't work properly, we will cancel the licence of the hospital," Jain said. He said the inquiry report will come by Monday. Jain also said that a show cause notice was served to the hospital on November 22 for not treating poor patients. In a clear case of medical negligence, doctors at Shalimar Bagh-located Max Super Specialty Hospital here on Thursday declared a baby dead, along with his stillborn twin, and handed the bodies over to family members in a polythene bag. The baby was found alive just moments before being buried. This case prompted the Health Minister to order a probe on Friday. A day after the incident, the baby was shifted to Aggarwal nursing home in Pitampura. "The baby is in a critical condition now. It is supposed to be under observation for 72 hours after it got admitted at our nursing home on Friday," a doctor, who didn't want to be named, told IANS. According to the aggrieved family, the twins were born premature. While one baby was stillborn, the other was declared dead hours later after his condition was stated to be "critical" and "unable to survive". Max Hospital, in a statement, said: "It has been brought to our notice that a 22-week premature newborn, who is said to be on life support at a nursing home, was unfortunately handed over (as dead) ... by Max Hospital, Shalimar Bagh.